UPDATE Diana has been found SAFE! Thank you everyone for the help! Diana has been found SAFE! Thank you everyone for the help! The Adams County Sheriff’s Office, in conjunction with several other agencies and volunteers, continues to search for Diana Hauser. Diana was last seen yesterday at her residence in the 1300 block of Fur Ct. in the Town of Springville. An extensive land, water, and air search is currently underway. We have no reason to suspect Diana is the victim of foul play at this time. It is believed Diana left her residence on foot. 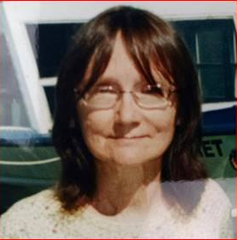 Diana is 69 years old, 5’3”, 120 lbs., and was last seen wearing a brown long sleeve shirt and blue jeans. Anyone with information regarding Diana is encouraged to contact the Adams County Sheriff’s Office at 608-339-3304. The Adams County Sheriff's Office seeks your help in locating a missing person: Missing Person: Diana M Hauser, 69 Yrs. Old F/ W 5’03” 120 LBS Last seen:11:00 AM today in 1300 block of Fur Ct.
Diana M Hauser 69, (Female, White, 5’03” 120 LBS) Last seen: 1300 block of Fur CT. in the Township of Springville. This is about 16 miles south of the Village of Friendship in Adams County Wisconsin and about 8 miles north of the City of Wisconsin Dells. Diana was last seen wearing brown shirt with long selves and blue jeans. If anyone sees or has contact with Diana, Please Contact the Adams County Sheriff’s Office at 608-339-3304 or 1-877-885-9977 or contact your local law enforcement agency.